Farmers attending the International Dairy Federation World Dairy Summit in Belfast have accused Michael Gove of ‘missing the point’ when speaking about the challenges of recruiting labour. Dairy farms have struggled to fill jobs on farm this year with a high reliance on migrant workers. Questioned on Defra’s views on the labour crisis, the Secretary of State admitted there were issues with people ‘going back’ to their country of origin and it was a reflection of the fact economic growth was strong there. He added the migration advisory committee was already looking at what the needs of the industry might be. 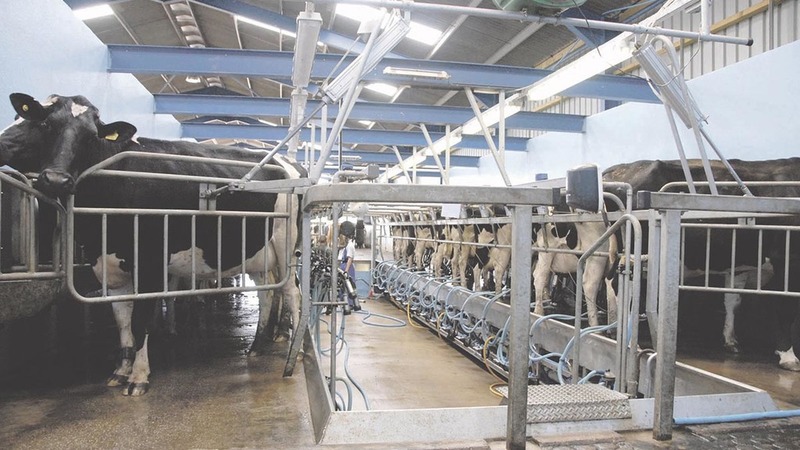 But Cheshire dairy farmer Phil Latham said the committee was looking at the needs of the industry ‘in three years’ time’ and not tackling the current crisis. He said the solution was to add dairy farms to the shortage occupation list but he had not heard anything from Mr Gove which acknowledged the current problems. Mr Gove added there would also, over the long term, be a reduction of the amount of labour needed on farms due to investments in new technology. It came as he announced the launch of a £40m fund to ‘boost farm productivity’ with grants available to help farmers invest in new technology, such as robotics, to reduce costs or improve quality. But Mr Latham described suggestions labour could be replaced by robotics as ‘cloud cuckoo’. “I do not think that is where our solution lies at all in low cost production to withstand the current volatility. That is not where we are at for a large scale farm,” he said.